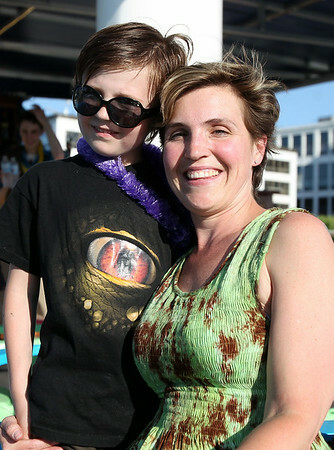 Jennifer Close, of the Peabody Essex Museum and her seven-year-old son Morgan, at the North of Boston Convention and Visitors Bureau's Sail Into Summer Fundraiser aboard the Hannah Glover on Wednesday evening. DAVID LE/Staff photo. 6/18/14.